australia Archives - Solar Love! LG Chem, the South Korean battery storage maker that has so far claimed the biggest share of the nascent Australian market, says that solar and battery storage is already beating grid power in most states. The assessment by LG Chem follows similar analysis by private energy consultants, and suggests that the market for battery storage could be about to take off, even with looming threats of restrictions. According to Jamie Allen, the marketing head in Australia for LG Chem, a 5kW rooftop solar system and a 10kWh battery storage device (such as LG Chem’s own 9.8kWh offering) can be purchased and installed for around $15,000. Based on the assumed output of around 22kWh a day from the solar array, that makes the cost per kWh of solar power at around 22c/kWh over 10 years. 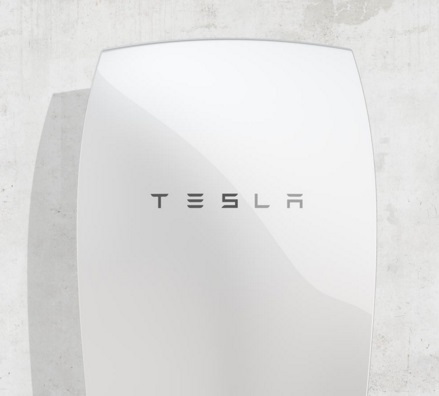 Given that most flat rate per kWh tariffs start at around 23c/kWh or 24c/kWh – even in NSW where there are high fixed network charges on top of that – the solar power is still on the money, although the battery storage is essential to ensure that much of that output is used directly, or stored for later use at night. Of course, the actual cost per kWh of the solar output would be less than half the 22c/kWh cited here, because the panels would last well beyond 20 years. But the 10 year time frame is used because that is the warranty period for most battery storage and it is the “combo” package that is being promoted. And without storage, then much of the output would have to be exported, with tariffs in NSW as low as 6c/kWh or non-existent for some. What does this tell us? Allen says it is that storage is crucial to maximize the value of that solar output. Every kWh that can be consumed on site will beat the cost of production. Of course, this is not the only benefit. Allen notes that the solar system will likely last at least another decade, possibly two, and the cost of battery storage to replace the current system will also be cheaper, while grid costs are likely to rise. And, on top of that, the solar and storage system offers other benefits: back-up power for when local or wider blackouts occur, and increasing property values, not to mention the environmental and climate benefits. So far, LG Chem has found the NSW and Queensland markets to be the strongest for battery storage, with consumers in regional areas, particularly interested because of the potential of batteries as a back up. “The market is looking very positive,” Allen says. LG Chem, along with other battery storage developers, is watching the roll-out of the new Tesla Powerwall 2 with interest, but is confident its product is competitive. And while Tesla focuses on proprietary models with in-built inverters, LG Chem is partnering with a range of companies including SMA, Solar Edge, Selectronics, Redback, Sungrow, Goodwie, Ingeteam, and Victron. But Allen is also worried about moves by regulatory authorities to restrict the installations of battery storage devices, and effectively ban them from homes and garages and require them to be installed in a separate enclosure. He says LG Chem safety tests have been exhaustive, and more than 30,000 LG Chem residential systems supplied globally with no fire or safety related issues. A further 500,000 EVs and hybrid vehicles have used the company’s battery cells, again with no fire or safety related issues, and LG Chem lithium products are approved to be shipped via air. Yet Australian authorities want to ban them inside homes. Propelling a global boost in renewable energy, Australia’s Clean Energy Regulator has reported small-scale rooftop solar totaled 4.59 GW in 2015. As reported by pv-magazine, data released by the Clean Energy Regulator shows 119,000 new small-scale PV installations have taken place in 2015. While not as sizable as 2014, this number distinguishes Australia with the highest portion of residential buildings with rooftop PV globally. The Australia small-scale rooftop solar numbers also show the nation has maintained its world lead the world in deployment of rooftop solar. Counting a December 1 calculation, Australia has reached 1.49 million small-scale PV installations. This total is based on data released by this country’s Clean Energy Regulator. The Clean Energy Regulator was established on 2 April 2012 as an independent statutory authority by the Clean Energy Regulator Act 2011, and operates as part of the Environment portfolio. Clean Energy Finance Corporation (CEFC) estimates the nation will have another 300 MW of large-scale PV by the end of 2015. The CEFC Act has provided that a minimum of 50% of the CEFC portfolio be invested in renewable energy technologies, related enabling technologies and hybrid technologies that integrate renewable energy technologies by 1 July 2018. CEFC has invested in both large and small-scale solar projects using solar photovoltaics. It reports the demand for solar financing continues to be strong, with solar projects valued over $3 billion. The clean energy report shows a solid foundation for small-scale solar is in place. SunPower has announced the launch of a remote operations control center for monitoring and controlling large-scale solar power plants. The remote operations control center (ROCC) is designed to monitor and control large-scale solar power plants that SunPower is currently operating throughout the United States (including those projects owned by its joint-yieldco company, 8point3 Energy Partners), as well as monitor solar power plants SunPower has constructed throughout Latin America, Europe, Africa, Australia, and Asia. The ROCC is staffed by eight employees who, by 2016, will be monitoring and controlling approximately 1.3 GW of solar power plants 24 hours a day, 7 days a week, 365 days a year. The launch of the ROCC will be an interesting move for SunPower, and will be intriguing to see how it impacts the company’s bottom line. In the second quarter, SunPower reported lackluster revenue of $381 million, down slightly on the first quarter and down significantly year-over-year, which saw the company provide measured full-year guidance for the first time in 2015 — GAAP revenue for the full year 2015 to reach between $1.5 billion and $1.7 billion, with a gross margin of 10% to 12%, and a net loss per diluted share of $2.35 to $2.05.